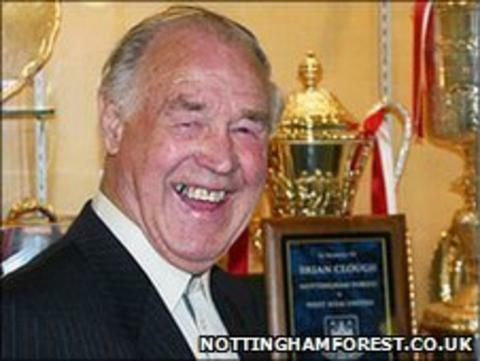 Billy Gray, a former Nottingham Forest FA Cup winner, has died at the age of 83. A one-time winger, later converted into an inside forward, made 224 appearances for the Reds, scoring 37 goals. Gray was a member of Forest's 1959 FA Cup-winning side and also a former Notts County manager. Jeff Whitefoot, who is now the only surviving member from the side that beat Luton 2-1, said: "Billy was a wonderful footballer." Gray returned to Forest in 1984 and worked as a groundsman in the Brian Clough era. A minute's silence will be observed before the Reds' Championship match with another of Gray's former side's, Burnley, at the City Ground on Tuesday. Gray scored 30 goals in 120 league appearances for the Clarets prior to his move to the Midlands and had earlier played for Leyton Orient and Chelsea. Whitefoot told the Forest website: "I am very sad to hear of his passing. "As a player he was so versatile he could play anywhere, and despite his lack of inches he would have gone in goal if you had asked him. "Off the field he was very much a family man. He was a very likable person and a great colleague who will be sorely missed."